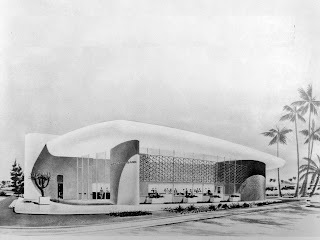 Alan Hess on Architecture: "The Palm Springs School" vs. "The Sarasota School"
Alan, great article. We just premiered our documentary film: Mid-Century Moderns: The Homes That Define Palm Springs to a SRO crowd during Modernism Week. Our film takes viewers INSIDE the homes that you have pictured here in your blog, including Steel House #2 by Wexler & Harrison, and the tract house about which is a Bill Krisel Alexander that has been lovingly restored by its owners. If any of your readers are interested, our film is available at www.TheAlexanderDocumentary.com. 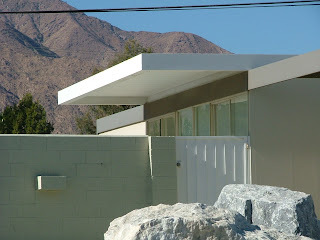 Thanks for posting, we think Palm Springs is the Mecca for Modernism! Having lived in Florida and visited Sarasota frequently but now in Palm Springs, I often pondered the very points made in your article about Palm Springs. Nice job. Enjoyed this! It's been interesting to begin to see the outlines of regional Modernisms, from the coastal South to the Pacific West. I agree completely with your comment regarding the critics of the time not looking beyond their own front yards before declaring the Master Modernists. Can't wait to come out to Palm Springs and see these little masterpieces! Architect and historian Alan Hess is the architecture critic of the San Jose Mercury News. 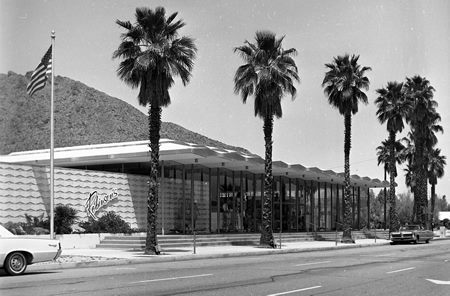 He has written nineteen books on Modern architecture and urbanism in the mid-twentieth century, including monographs on architects Oscar Niemeyer, Frank Lloyd Wright, and John Lautner, as well as architectural histories of Las Vegas and Palm Springs. Hess’ other books include Googie: Ultramodern Roadside Architecture, Forgotten Modern, and The Ranch House. He is currently researching the architecture of Irvine, California, one of the United States’ largest master-planned communities of the 1960s and 1970s. Hess has been very active in the preservation of post-World War II architecture, qualifying several significant buildings for the National Register of Historic Places. © 2013 Alan Hess, architect. All rights reserved. All photos on this site have been taken by me unless otherwise noted. You may not take images or content from this site without written permission.